The cryptocurrencies have exploded into public consciousness recently with the rise of Bitcoin. While it’s true that the cryptocurrencies are not at the height of their popularity at the moment – there are still many people that want to make investments in them. So, today we will talk more about one way in which you can trade cryptocurrencies – namely, cryptocurrency CFDs. So, we’ll begin by defining cryptocurrencies. They are digital currencies that have been designed to be media of exchange. They fall back on the use of cryptography for the purposes of tracking transfers and purchases. They use the power of the internet for the purpose of guaranteeing their value and the confirmation of transactions. There are a number of popular cryptocurrencies at the moment – Bitcoin, Ethereum, Litecoin, and many others. A contract for difference, on the other hand, is a literal contract that’s based on underlying assets. This typically is an index, a share, or a commodity. It can also be a currency pair. So, if you wish to trade in CFDs, then all you’ll be doing is speculation about the imminent rise or fall of the value of the underlying asset. You don’t actually own the asset, though, when it comes to signing CFDs. So, long story short, the cryptocurrency CFDs will enable you to try and predict changes in the value of particular cryptocurrencies. 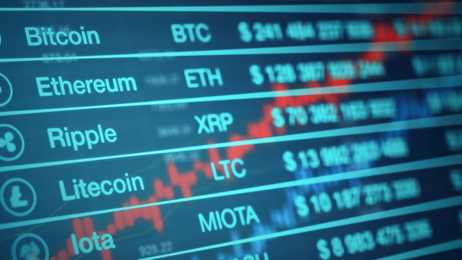 The CFDs will also enable you to sign contracts based on the performances of a cryptocurrency – when you take it relative to the flat currencies. The flat currency is usually the US Dollar. You can also use cryptocurrencies/cryptocurrencies CFDs. If you want to trade cryptocurrency CFDs, then you will have to learn more about a few key concepts. One of the most important concepts when it comes to this is leverage. This is both a disadvantage and a benefit to trading CFDs. If you want to open a CFD trade, then all you need to do is deposit a small part of the total value of the trade. This is the so-called margin requirement. This doesn’t mean that you will get less of the profits if the price moves in the right direction for you – you will still get all the profits. But this means that your losses will also be magnified. They are calculated based on the position’s entire value. So, in the end, you may lose a lot more money than you have originally deposited. And this, we believe, is one of the greatest risks that you must have in mind before making the decision to invest in cryptocurrency CFDs. So, you now know the basic information you need when going about trading cryptocurrency CFDs. Of course, the reality can get a lot trickier than this. It will still take you hard practice for long periods of time before you will be able to build your skill in trading cryptocurrencies with the use of the contracts for difference. Either way, we hope that you will use your speculative skills to make a lot of money with the help of cryptocurrency CFDs trade.